Convert videos from one format to another format in Ubuntu 14.04 or in Linux Mint is not a very hard way. There are lot of powerfull video converters like ffmpeg are available in Ubuntu 14.04. Handbrake is a tool with very nice GUI in Ubuntu to convert videos from any format to widely supported popular formats with ease. HandBrake is an open-source, multiplatform, multithreaded video transcoder, DVD ripper for Ubuntu or Linux. 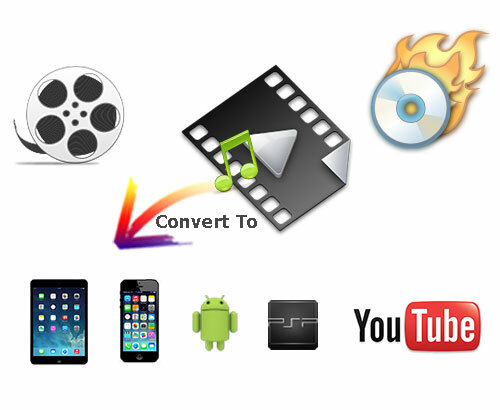 Handbrake is a versatile tool for converting DVDs, BluRay videos to popular MPEG-4, H.264, Webm or Ogg formats with handpicked pre-configures presets for a wide range of devices like Android Phones, iPods, iPhones etc.. It can be used to create videos that need to upload into Youtube or Vimeo. BluRay sources that do not contain any kind of copy protection. To install HandBrake Video Converter for Ubuntu 14.04 or in Linux Mint 17/13 run the following commands on the terminal. Now open Handbrake from dash and start converting. first, install RPMFusion repository to get the necessary codes. These commands installs both the command-line and GUI versions of HandBrake in Fedora 20.